Many will use this course to become a farm manager, work in marketing horticultural herbs or start your own business. Others will use it to enhance a career they have already started in the horticulture industry. Get your free Berry Production Course Information pack today. Our students love our Bonsai Course. You will learn the history and secret techniques required to become a successful Bonsai 盆栽 lit producer. Request your obligation free course information pack today! This 600 hour accredited course focuses on the mainstream fundamentals of horticulture in the first half of the course and leads on to organic plant growing methods in the second half. This combination is rarely offered through other institutions. The Certificate in Horticulture (Plant Propagation) is a vocationally oriented course comprising a core of studies common to all horticulture certificates, plus specialised studies in plant propagation. In any industry including horticulture, competition is fierce and success depends upon the way you market your product. A sound knowledge of marketing processes will ensure that a business stays ahead of the competition. What can good research skills do for you? Good research skills will enable you identify emerging trends and changes that affect horticulture, and to help formulate better strategies, practices and uses for horticulture. Covers planning for efficient and economical management in horticulture: including such things as work procedures and programming, budgeting and staff supervision. The course is relevant to all areas of horticulture including nurseries, parks, private gardens, market gardening and fruit production. online course - learn to be a horticultural therapist, get a qualification to work with horticulture to offer therapy for people with disabilities, elderly, aged care, offenders, mental health, depression, and more. Distance Learning Course -Introduction to Horticulture The ideal course for anyone starting out in horticulture. There is actually a system to identifying plants; and for most people, once you understand that system, it can become much easier to remember plant names; and the cultural peculiarities of different plant species. Understanding the life cycles of insects and weeds and learning how to identify them is important in the protection of plants from disease and insect and the spread of weed species. This is a specialist course that will really give you the opportunity for advancement in this field. If you are passionate about turf then this is the course for you. Very well rounded covering all aspects of turf and turf management. Over 300 distance education courses, free handbook, course counselling, articles, courses, books and videos; plus lots of free information and articles covering a multitude of disciplines. This course is designed to assist the graduate to gain employment in the following fields: Garden Company Manager, Technical Officer, Marketing Manager, Consultant, Vocational Trainer. Learn the foundation of all good horticulture. Without a sound understanding of soils, you simply cannot realise your full potential as a horticulturist or gardener. Caring for Turf is a science of its own and it is worth getting to understand how to care for it to the best of your ability. This course is designed for people working or wishing to work with environmental rehabilitation and contaminated sites recovery. Learn the best techniques for plant selection and establishment, seed collection, storage and germination and post-establishment management and control. Want to work in the Turf Industry? -this course can be a great starting point and can be studied via correspondence or online. One of the wonderful things about this field is that it is growing and developing at such a tremendous rate. With all the attention that living green and eating organic or local has been garnering in the news Horticulture and its related technology is growing a so fast it can be hard to keep up with the new developments. That is the advantage of studying with Learning Cloud. Our people are not just trainers; they are people who are actively involved in their fields; people who get excited with every new development and stay current not because they need to for their job but because they genuinely love their subjects. Most learning programs frown on people who get excited and rock the boat but at Learning Cloud we not only like people who push the limits of their fields but we love people who are true zealots about the subjects that they teach. We count on our instructors being excited about their subjects. We have expended a great deal of effort in developing programs that are designed to not only make learning fun again but to get students excited about learning. That is why if a trainer isn't excited about a course or can't share their excitement with their students, you won't find them here. Subjects like Horticulture bear greatly on the future of not only the individuals that practice it but on our entire future as a country and civilization. That is something to be excited about. It doesn't matter if you want to study so that you can open your own cut flower or organic herb business or if want to live a self-sustaining life off grid. Maybe you just want to learn how to get more apples from your trees or have a healthier garden pond. There is a program of courses at Learning Cloud that will let you learn what you need and not just within a classroom but within a culture that is dedicated to both your education and personal growth. Learning doesn't have to be a drag. When you are excited about a subject and are studying with people who are just as excited as you are learning becomes a joy. 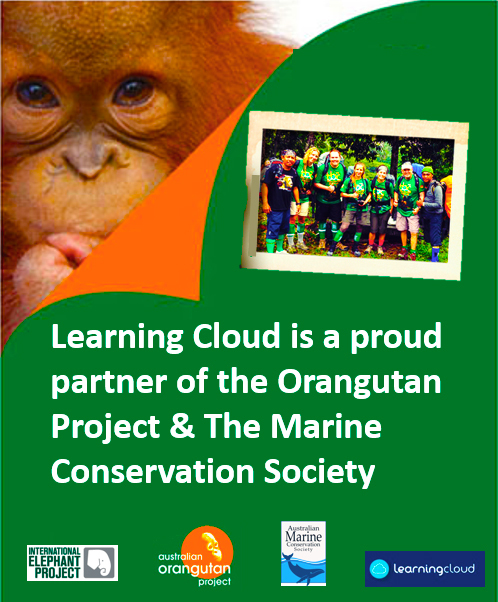 Contact Learning Cloud today and let us show how delightful your learning experience can be.